To think most of us used this and children all over the world are still using it? Sigh! 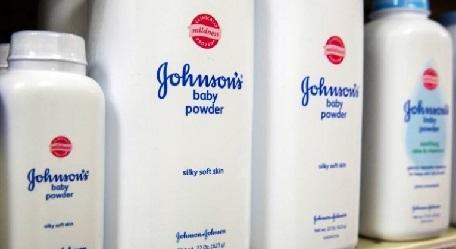 A $117 million verdict against Johnson & Johnson (JNJ.N) and a supplier in favor of a man who said his asbestos-related cancer was caused by long-term use of J&J’s Baby Powder could open a new front for thousands of cases claiming the widely-used product caused cancer, legal experts and plaintiffs lawyers said. J&J has been battling some 6,000 cases claiming its baby powder and Shower to Shower products cause ovarian cancer. The $117 million verdict by a New Jersey jury last week, however, involved a different form of cancer that is clearly linked to asbestos.Plaintiffs lawyers claim that internal J&J documents seen in that trial show that baby powder had been contaminated with asbestos. They now plan to use the documents in upcoming ovarian cancer trials to allege that the asbestos contamination also caused that form of cancer. J&J and Imerys Talc America, a unit of Imerys SA (IMTP.PA), have vowed to appeal the New Jersey verdict and deny asbestos has ever been present in their products or that their talc can cause any form of cancer. The case of Stephen Lanzo, a New Jersey resident who claimed he developed mesothelioma after using baby powder since his birth in 1972, was the first time a jury saw the internal J&J documents which plaintiffs claim show that J&J knew since the 1970s that the talc in its baby powder was contaminated by asbestos during the mining process. J&J says the documents present no such evidence, but merely show the company’s caution. Peter Bicks, a lawyer leading J&J’s talc asbestos defense, said that in the early 1970s, the company was looking at how it could potentially remove asbestos from talc if the two became intermingled in the mining process. He says no contamination was ever found, citing decades of testing by independent laboratories and scientists. Mesothelioma, a rare and deadly form of cancer closely associated with exposure to asbestos, affects the delicate tissue that lines body cavities. While the link between asbestos and mesothelioma is sufficiently established, scientists are divided on whether asbestos exposure can cause ovarian cancer. Some studies have shown an association between the two, while other studies have found no such link. Elizabeth Burch, holder of the Charles H. Kirbo Chair of Law at the University of Georgia, said it remained an open question whether talc contained asbestos and that each case would turn on the facts. But J&J, which had $76.5 billion in sales in 2017, gives the plaintiffs’ bar an enticing new target, said Nathan Schachtman, a lecturer at Columbia University who used to defend asbestos cases.